How do you keep track of basic information on the proteins you work with? Where do you find details of their physicochemical properties, sequence information, gene organization? Are you tired of scanning review articles, primary papers and databases to locate that elusive fact? The Academic Press FactsBook series will satisfy scientists and clinical researchers suffering from information overload. Each volume provides a catalogue of the essential properties of families of molecules. Gene organization, sequence information, physicochemical properties, and biological activity are presented using a common, easy to follow format. Taken together they compile everything you wanted to know about proteins but were too busy to look for. 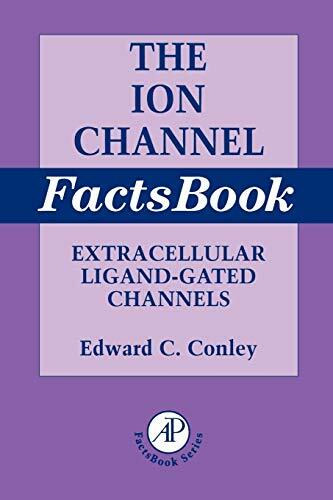 In a set of four inter-related volumes, The Ion Channel FactsBook provides a comprehensive framework of facts about channel molecules central to electrical signalling phenomena in living cells. The first volume is devoted to Extracellular Ligand-Gated Integral Receptor-Channel Families including those molecular complexes activated by: 5-Hydroxytryptamine, ATP, Glutamate, Acetylcholine, GABA, Glycine.